Women’s Bank is a Finnish volunteer network that raises funds to develop the education, livelihood and entrepreneurship of women in developing countries. The main focus of the Women’s Bank is women, and through supporting their personal and sustainable livelihood we are improving the conditions of both their families and communities. Our strength lies in our numerous, active volunteers, our shareholders and sponsors around Finland. 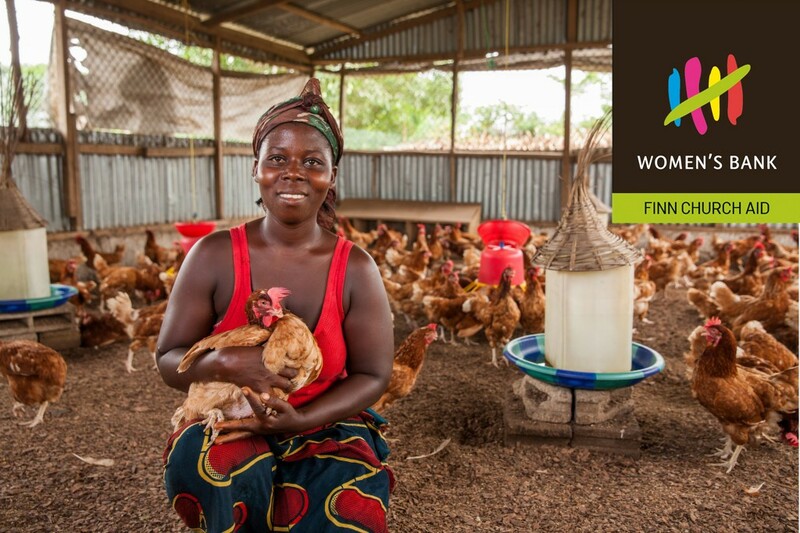 Finn Church Aid administers the Women’s Bank’s fund and implements its projects. Projects that improve women’s rights, livelihood and knowhow. Small scale loans, professional training and other activities aiming at women’s entrepreneurship. Other innovative pilot projects aiming at women’s entrepreneurship. Women’s Bank currently has nine projects in eight developing countries. Women’s Bank is a Finnish innovation. Join us!